All accommodation located within the competition centre has to be booked and paid for by May 8th 2014. Camping places, rented tents provided by the organizers and wind shelters are booked through the electronic registration system. Please note that your accommodation will be confirmed only after you have paid the required fee. You can find the fees in the Event Invitation. The parking area for caravans is located less than 1000 metres from the main guiding pole. There will be a limited number of places available, and they will be given out in the booking order. Caravan parking has to be booked by May 8th 2014 by sending an email to info.2014(at)jukola.com. Parking fee will be collected on arrival. Private cottages and apartments can be rented from locals in Vehmersalmi village and near the city of Kuopio. Further information at: info.2014(at)jukola.com. Clubs and associations have an opportunity to book a place for a wind shelter near the changeover/finishing area. Teams with the best rankings in Jämsä-Jukola will have first priority in the first row. Those clubs and associations which make an entry for at least eight teams (both Jukola and Venla teams added together) will have the right to book a place for two wind shelters. Booking and payment for the places should be done on May 8th 2014 at the latest. The place will be confirmed after the payment has been received. 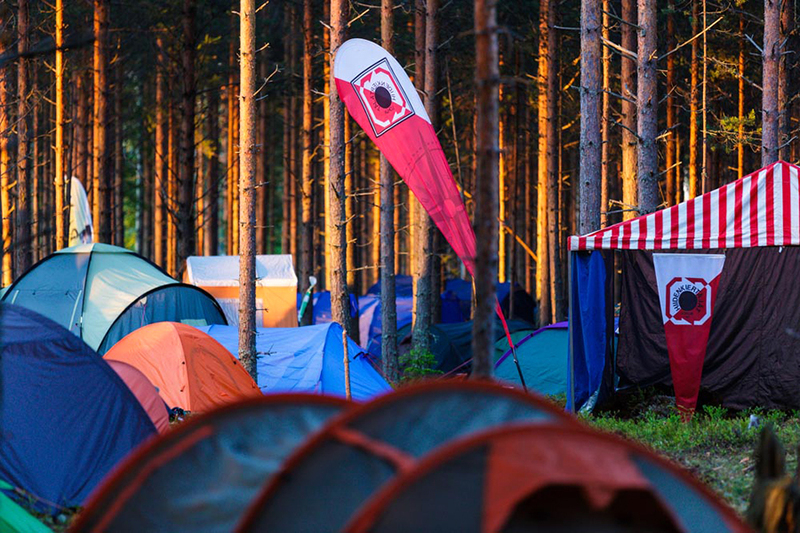 The tent village of Jämsä-Jukola 2013.